When every I go to Skipton, I always pop into Emma's Apothecary and I usually buy bath bombs and I'm trying to build up my collection again for winter. 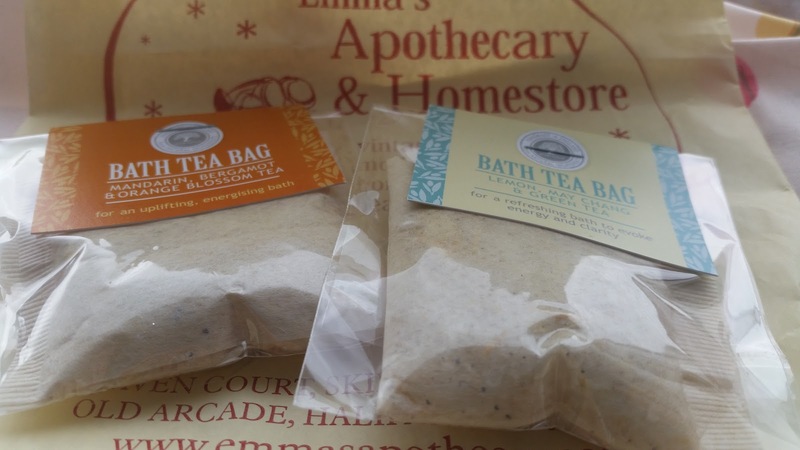 Last time I was in I spotted these bath tea bags. they had a huge range of flavours and I was very tempted to but quite a few but I think I need to try one to see if I like it and then I will buy a few every time I go. I like that the teabags are sealed in a bag and they would be great as a gift for someone. I think they are about £1.50 each. I could quite happily move into this shop, they have the most amazing things, from vintage homeware, stationery, bath products and they do stock quite a few brands now. If you're ever in Skipton it's worth a visit. They also have a store in Halifax.